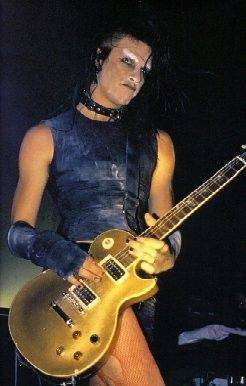 In 1997 Finck signed a two-year contract with Guns N' Roses as the replacement for Slash (who had quit the band at the end of the previous year) and began work on what was ultimately to become the band's long delayed album Chinese Democracy. When the two years were up the album had not been completed, although the song Oh My God was released on the End of Days soundtrack. Whether or not Finck played on the song is in dispute; GNR vocalist Axl Rose says he did while Finck himself says he did not.